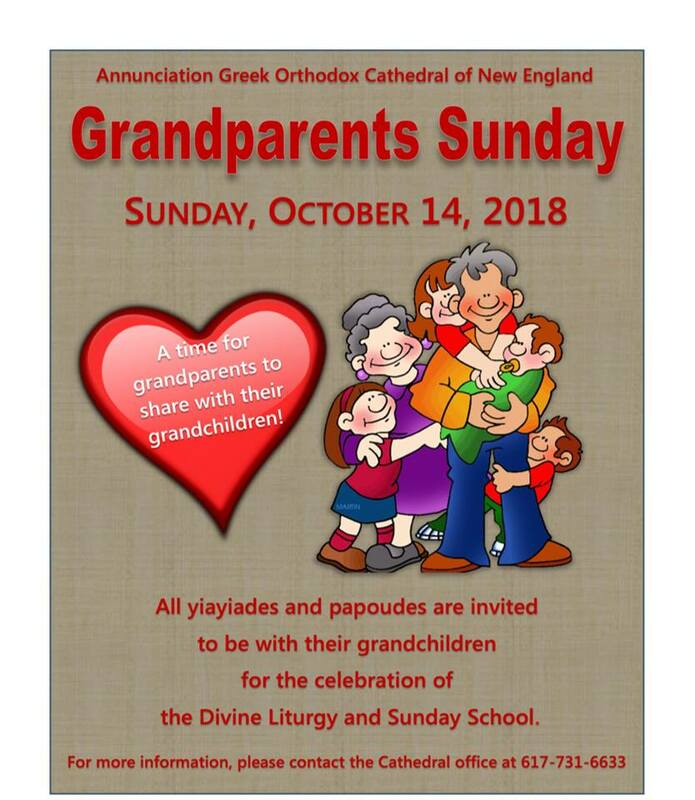 Sunday, October 14th is Grandparents Sunday. Make sure you and your grandparents arrive to the Cathedral for the Divine Liturgy. Or if your a grandchild, bring your grandparents to the Cathedral and share a moment in worship in our great Cathedral Sanctuary.